Noted. 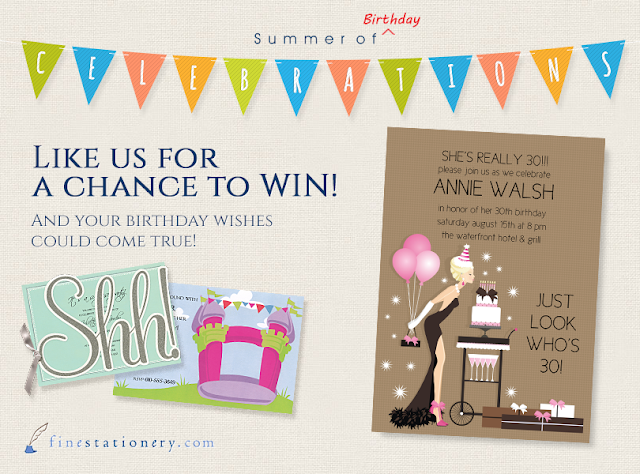 | FineStationery.com: Summer of Birthday Celebrations - Friday Birthday Giveaway! Summer of Birthday Celebrations - Friday Birthday Giveaway! Like us on Facebook and enter for your chance to win $25 towards birthday invitations from FineStationery.com!